« No Attorney-Client relationship exist between Access Center personnel and litigant. « Legal information is given, but not legal advice. « Access Center staff may provide services to the other party. « Services are not intended to give one side of a case an advantage over the other. Walk-Ins are "first come, first served" until capacity is filled. The Family Law Facilitator's Office offers the following workshops by appointment only: Dissolution, Guardianship/Conservatorship, Judgment Appointments, Request for Order. Law Help Interactive helps you fill out legal forms. Answer a series of questions and print your legal forms. The forms are free and have been created by nonprofit legal aid programs and courts. This program can be used to start the dissolution process before you come to the self-help center. This program completes the dissolution petition and disclosures. This program does not include information or forms regarding notice of the TRO hearing. The program assists litigants who would like to file a Request for Order in a family law case, including dissolution, parentage and domestic violence. This program will assist to complete conservatorship forms. This is a standalone fee waiver request for guardianship and conservatorship matters, and can be used when a guardian or conservator represents a ward or conservatee in a civil matter. This program will assist to begin the process of name change petition. Please have your Case Number with you at all times, if you have one. A copy of all your court cases. Pay stubs for last 90 days and last two years of tax returns. 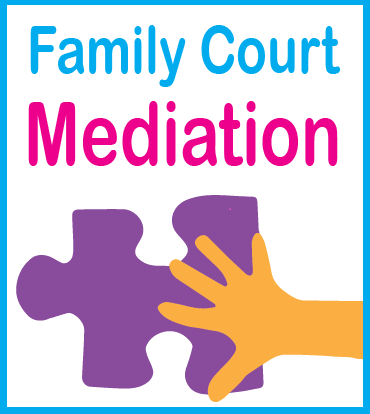 How can I obtain mediation services? Referral to mediation services requires a court order made by a judge. The order may be made either before or after a court hearing. You can also obtain a mediation appointment by filing local form FL-05 Stipulation for Mediation if you and the other party agree to do so. « Only adults 18 years of age and older are allowed in the Access Center unless the minor is opening own case.